Colorado is famous for skiing, but the picturesque snow-covered peaks harbor many secrets through the frozen winter months. Although most high alpine lakes are only visible only in the thaw of summer, they are a worthy and rewarding destination for intrepid backcountry travelers. 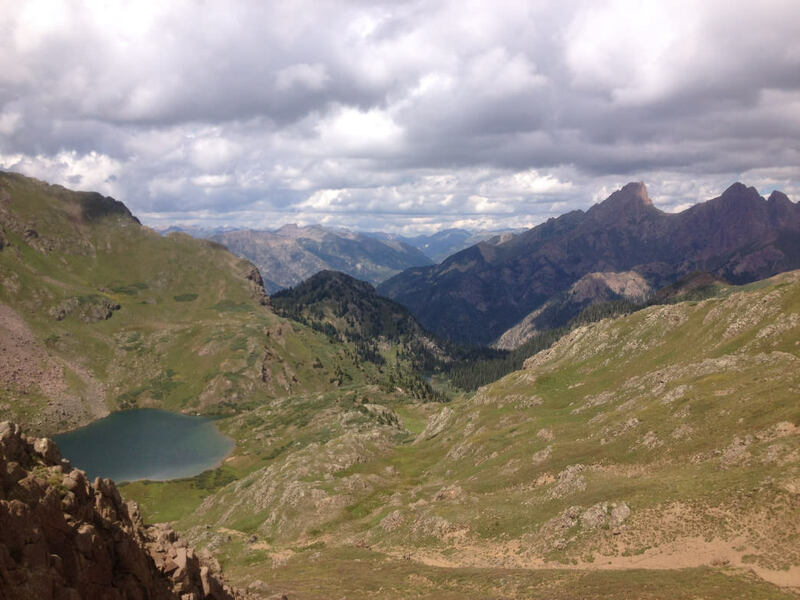 For the most part, naturally occurring, high-elevation lakes in the San Juan Mountains of southwest Colorado were formed by glaciers and volcanoes. 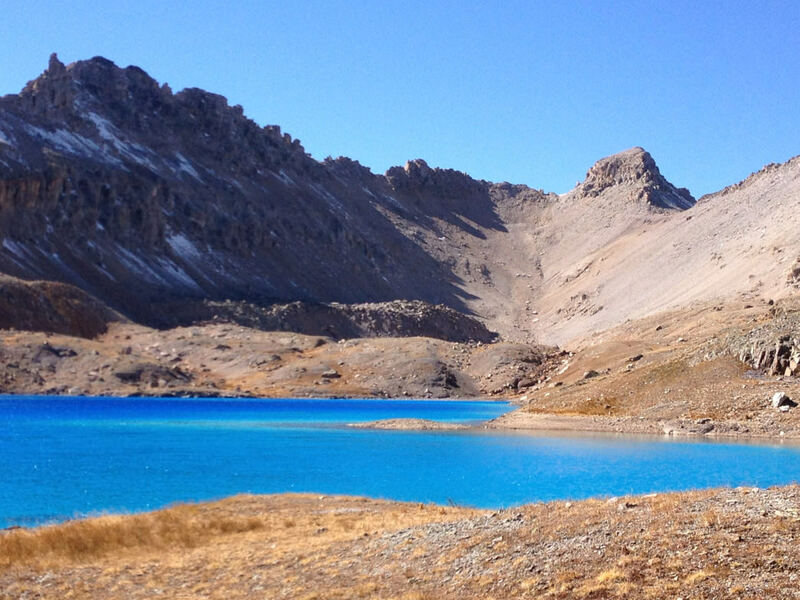 Their vivid turquoise blue has made places like Ice Lakes Basin famous and will prompt even novice photographers to try to capture the splendor of the scene. The opaque blue color of the lakes is due to the clearness of the water and the rock flour sediments that are carried to the lake with spring runoff. The brightness of the lakes is contingent upon the time of year visited because of the variation in the amount of rock flour reflecting blue wavelengths. The lower elevation lakes are home to fish and aquatic plants and as a result are not a vibrant jewel tone. They are no less beautiful and should be explored for their scenic merit as well. 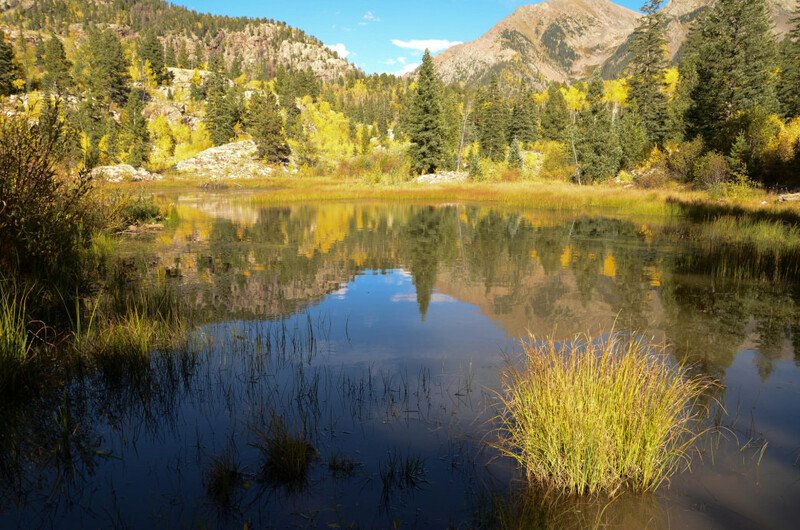 Here, seven must-see alpine lakes near Durango. A short hike from Lime Creek Road through aspen groves and beaver ponds will bring you to the picturesque lake at the base of Potato Hill. With an elevation of only 11,871 feet, it is dwarfed by towering Engineer Mountain (12,968 feet) Grizzly Peak (13,738 feet), and Twilight Peak (13,158 feet). Looking up at the Twilight Range, fishing pole in hand next to the tranquil lake might prompt less ambitious hikers to wonder if the view could possibly be any better from the top. This easily accessed treasure is ideal for family camping, fishing, and hiking. Just minutes beyond the busy parking lot and camp ground for the Ice Lakes Basin hike, tucked into the recesses of the San Juan Mountains, is the old mining road that leads to Lake Hope. 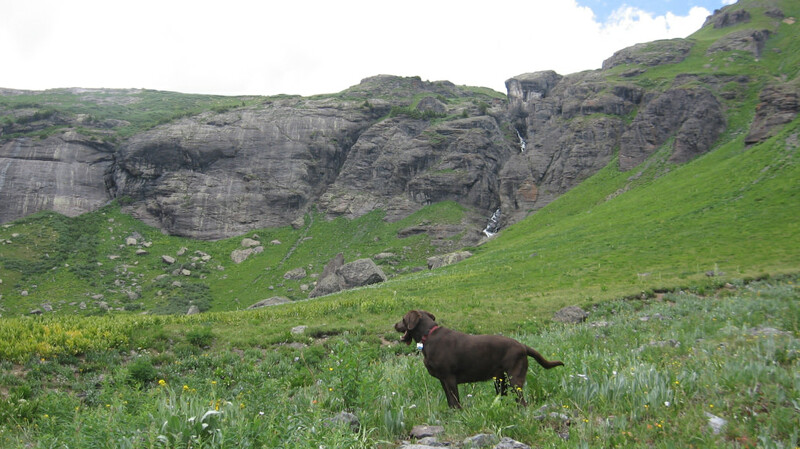 The unmaintained road is wide and gradual compared to the steeps of many high alpine hikes and does not sacrifice beauty for its mellow incline. Elk, moose, and mining equipment can be found here, far from crowds and ripe for exploration. The historic mining site is up the hill to the north of the trail, which tops the pass and looks down on the glacially azure Lake Hope, with Trout Lake and Lizard Head Pass below. 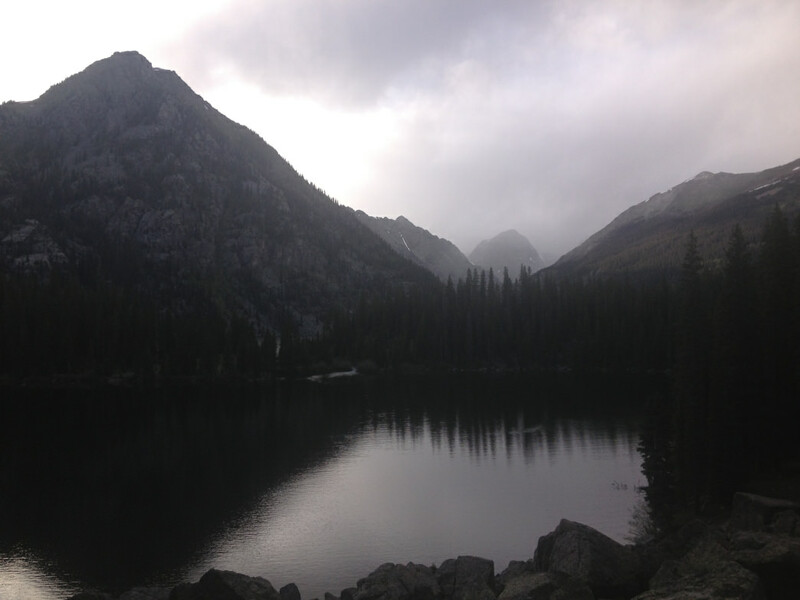 You will be hard pressed to find a Durango or Silverton local who has not scaled the heights to Ice Lake Basin. Its popularity is well-deserved; the hike is arduous but only 3.5 miles separate the parking lot from the shockingly blue lake that is your destination. It is easy to drive to, an excellent physical challenge, and an especially beautiful scene. Though daily traffic is not as heavy at Highland Mary’s as at Ice Lakes, there's a prolific number of locals who are familiar with the area. Still, that shouldn't deter you from a visit. 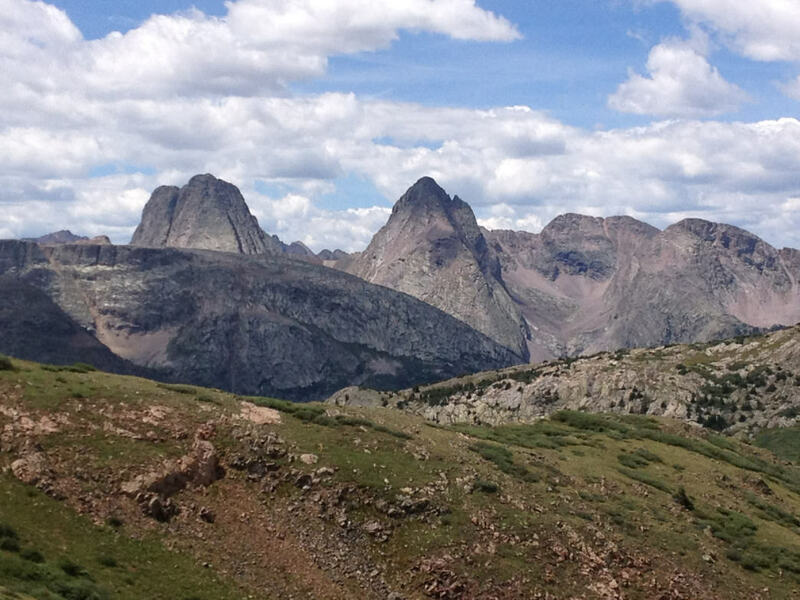 The loop, which extends to the Continental Divide and Colorado Trail, measures just shy of eight miles. However, the altitude does not vary significantly once the lakes are reached at mile 1.9. 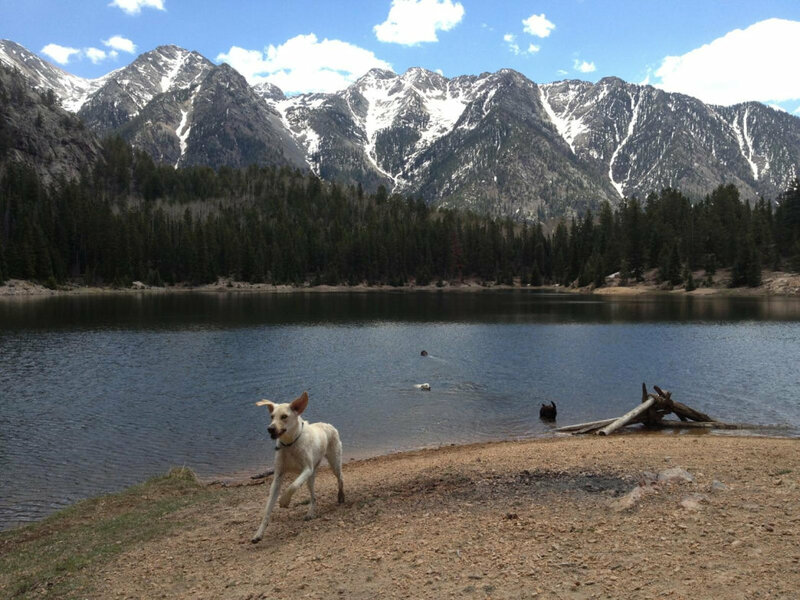 Many people choose to descend after seeing the lakes or continue on to Verde Lakes at 3.3 miles. Don’t forget to look up from the lakes once and a while to see the rolling high tundra and distant peaks to appreciate the scene in its entirety. A long drive up Missionary Ridge and a gradual hike north on Lime Mesa give no hint of the spectacular scene awaiting the explorer. 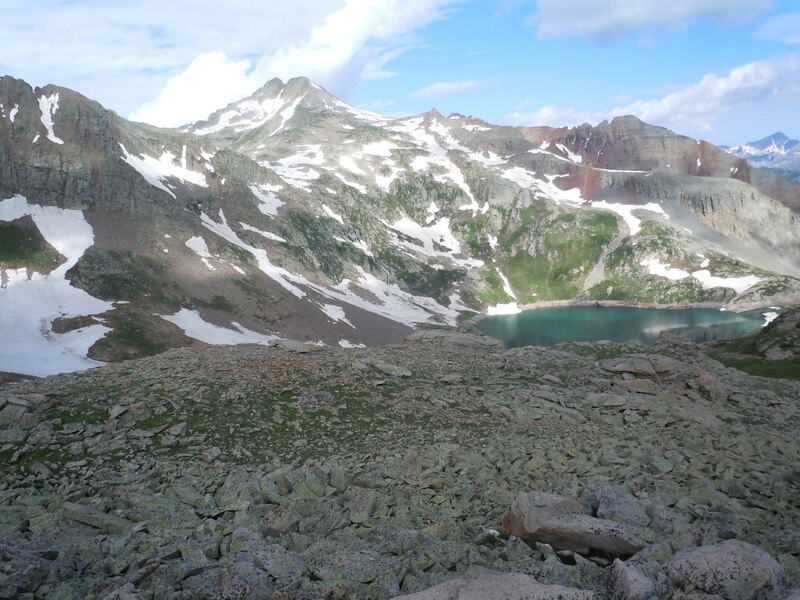 After four miles of winding through tall pines, descend to Dollar Lake; continue to meander above treeline to the lookout, only four miles from the trailhead. From here, gasps, exclamations, and the clicking of cameras fill the air as the high mesa gives way to a spectacular view of the cobalt-blue Ruby Lake below, while 14ers Windom and Eolus create a jagged backdrop in the distance. This is one you'll want to savor for a while. Emerald Lake is a popular overnight camping trip, not least because hikers and horseback riders will want to spend extra time enjoying its grandeur. A 10-mile hike from the trailhead near Vallacito Reservoir, Emerald Lake sits in the pristine Weminuch Wilderness where fish, bears, porcupine, and the occasional moose can be spotted. North of Silverton near the origins of Ophir Pass Road there is a pullout—a minor horiziontal extention of an otherwise precipitous road—not a parking lot. This fact alone says more about the unique, private experience offered by Columbine Lake. Larger than Ice Lake, it is also more vivid, more arduous, and is more often frequented by mountain goats than its better-known neighbor. If you’re looking for views beyond the beaten path, this is your hike—just let it be our little secret.